Ran their King of the Road Contest with PeopleVine Leaderboard. 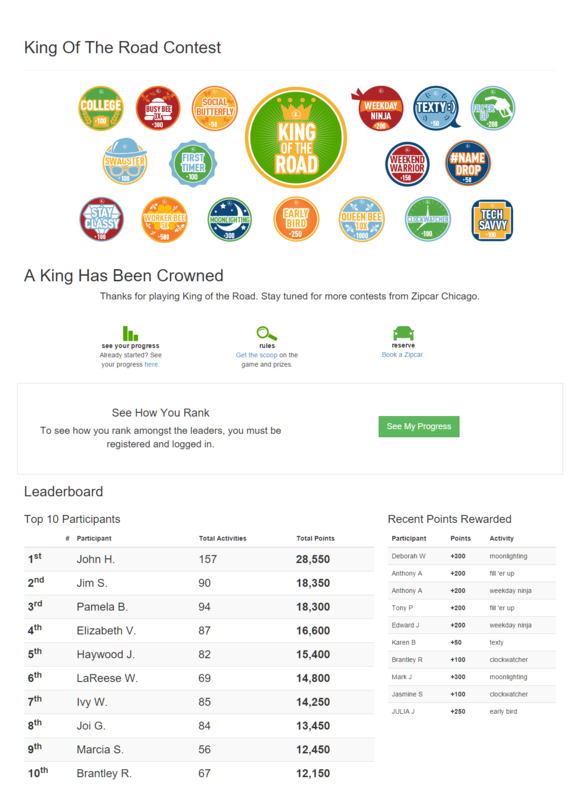 Zipcar powered their King of the Road contest with a PeopleVine Loyalty Contest. Participants could track their status in earning points for driving cars, #tagging on social or picking up swag, PeopleVine was able to integrate and track this data throughout to give Zipcar valuable insights about their users.